Here are my views on those F1 drivers from 2011 who didn't make the top 10 list I published a few days ago. My top 10 drivers of 2011 can be read here. Tenth place in the top ten was a close run thing between a number of drivers. Kamui Kobayashi got it, squeaking ahead of Jaime Alguersuari, Heikki Kovalainen and Felipe Massa. 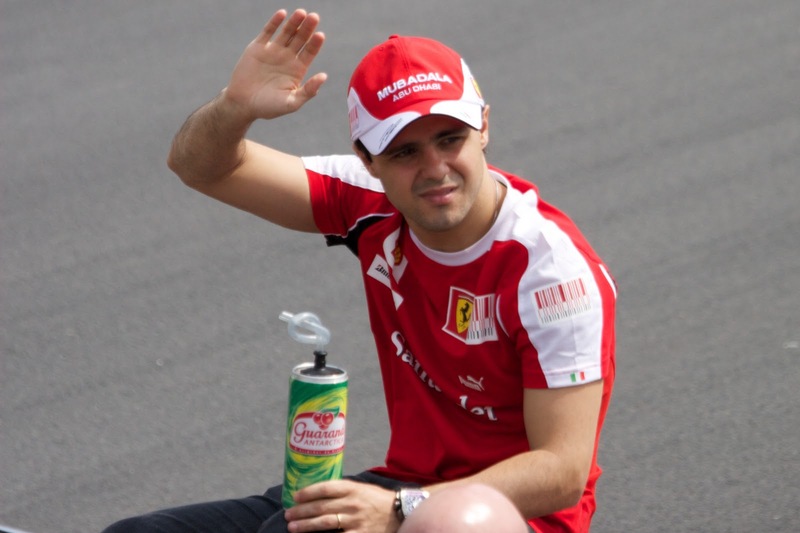 Taking them in reverse order brings us immediately to the curious case of Felipe Massa. In truth it was another desperately disappointing season for the popular Brazilian, in which his coming within two corners of winning the title in 2008 seemed like it was from another age. If anything, he was even further adrift of his team mate Fernando Alonso this year than last - only once (in China) did he clearly out race him. And while the Ferrari 150° Italia wasn't a great car, almost never did Massa look better than it, evidenced by the fact that he never finished higher than fifth in a year that his stable mate claimed ten podium finishes. He can claim to have been unlucky on occasion, there was more than one botched pitstop (see Malaysia, Turkey and Valencia), in Spa he punctured and at Monza he was hit by Webber. But even with these the pace wasn't there most of the time. Further, he didn't help himself, getting involved in a series of incidents to an extent that he didn't do in 2010: crashes in Canada and Hungary stopped better results, as did spins in Spain and Abu Dhabi. He hit a particular low by breaking his suspension twice in two days in India, with almost exactly the same error. Then there was his famous running battle with Lewis Hamilton this year. Yes, he was more the victim of these clashes all told, but he also sometimes displayed a machismo when wheel to wheel with him that didn't help matters, most obviously in Monaco and India. And, to be honest, his Hamilton grudge expressed out of the car struck me as a classic case of displacement. Mooted reasons for Massa's struggles continue to vary. We'll probably never know how much the Hungary accident has affected him, but my instinct is that a lot of Massa's problems stem from the guy he's sharing a garage with. Massa of all the front runners appears particularly vulnerable to confidence, as well as particularly in need of emotional support. In a team mostly focussed on Alonso, and where Alonso almost always beats him, Massa isn't getting much of either of these things and it shows. Ferrari are retaining him for next year, showing admirable loyalty it has to be said, but next year is very much last chance saloon. They don't expect him to beat Alonso, but they do expect him to finish a bit closer behind him, as well as to take points from rivals more often. I feel rather disgusted with myself for not including Heikki Kovalainen in my top ten drivers of the year. His was an excellent season and if it was purely a case of doing the best job with your machinery then perhaps he would have made it to the top ten, possibly comfortably. He certainly gave his similarly-equipped team mate Jarno Trulli a trouncing - out qualifying him 16 times to 2 - and Trulli was once viewed as a one lap specialist. He was also almost always the better on race day. Indeed, he did everything that could have been expected of him with a car that was never on the pace of the midfield runners, without KERS and a well-developed exhaust blown diffuser. 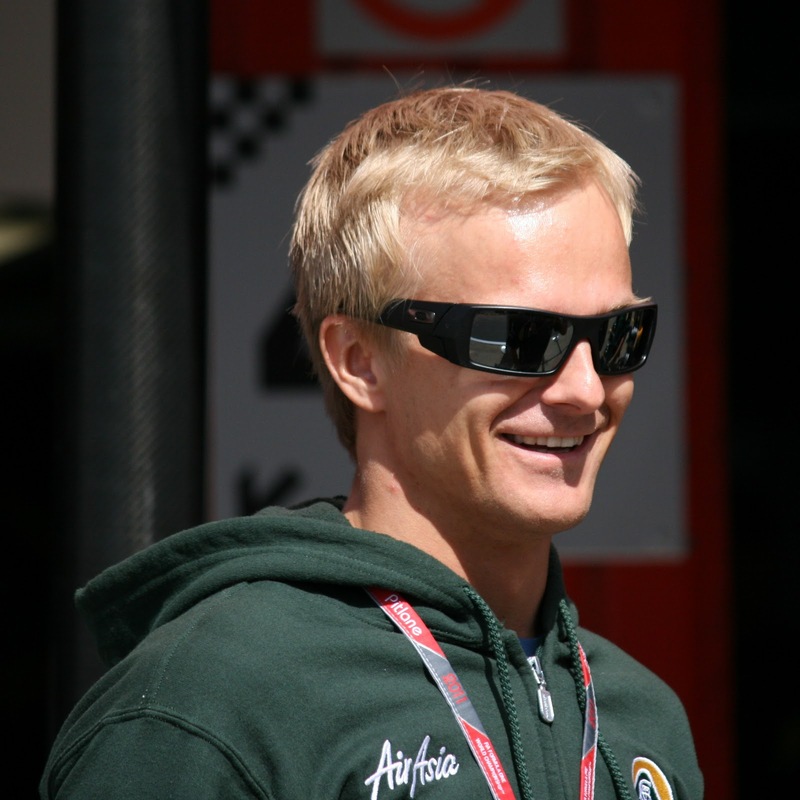 Kovalainen made midfield cameos whenever he could, such as qualifying ahead of the Force Indias in Spain and ahead of the Toro Rossos at Silverstone, as well as beating Perez and Maldonado to the line in China. His battling qualities were also not in question - shown by his net gain of 22 places on the first lap of races (a total beaten only by Schumacher). The Lotus team never missed an opportunity to praise him, and his enthusiasm and disposition out of the car was clearly appreciated by them. That he didn't make it into the top ten owes to a couple of factors, neither of which are Heikki's fault. One is, I personally feel that when judging a driver there should be some premium of fighting for wins and for points, as the pressure in that situation is entirely different. The other is that I found it harder to judge Kovalainen this season than I did most other drivers, because Kovalainen existed in a competitive vacuum - far behind the midfield but far ahead of the Virgins and HRTs. This meant that the only yardstick for him was Trulli, whose performance was questionable, so it was hard to establish as much of an evidence base for Kovalainen as for the drivers further up the grid. Still, assuming the Caterham (to give them their new name) gets closer to the midfield pack next year, Heikki should have many more opportunities to prove himself. Then there's Jaime Alguersuari, who like Adrian Sutil had a season of two halves: struggling initially before bouncing back strongly. For the first six races he was pointless, and it looked for all the world that Daniel Ricciardo, pacing impatiently in the wings, would replace him by mid-season. 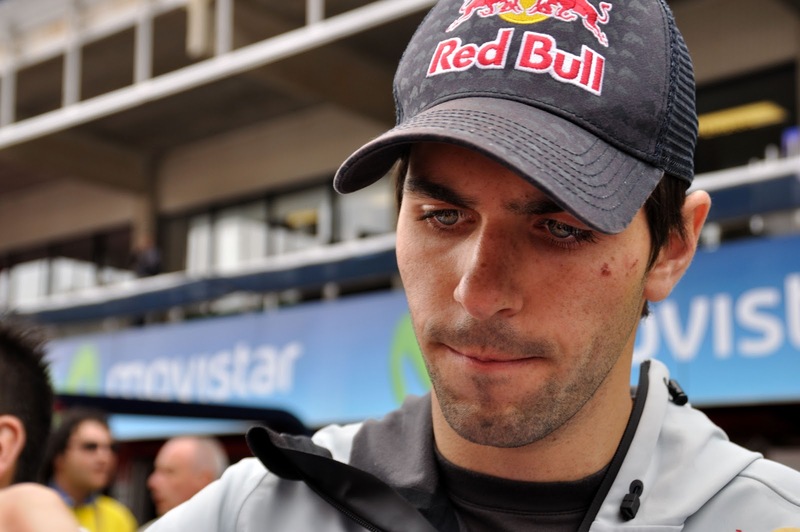 Alguersuari saved himself right on cue with two eighth place finishes on the bounce in Canada and Valencia, the latter achieved after starting in eighteenth. This was to prove to be his modus operandi for the rest of the year: while not necessarily being the quickest over a single qualifying lap (his team mate Buemi beat him 13 to 6 on this count) he would manage the tyres well on race day and be quick on old tyres, meaning he could put strategies with fewer stops to good effect. He claimed five more points finishes including two seventh places, the latter of the two being the result of a fine attacking drive in Korea. Again like Sutil, Alguersuari has improved year on year in his time in F1, but also like Sutil be at the time of writing is without a drive for next year. Red Bull are looking for a Webber replacement for 2013 apparently and seem to be of the view that neither he nor Buemi are up to it - so two newer models are on the way in at Toro Rosso. It all seems a bit harsh on Alguersuari given how he's been driving in recent times - let's hope we see his talent on the grid somewhere come March. If nothing else, he's fascinating to listen to in interviews. To go through the rest of the drivers in the order of the numbering immediately brings us to Renault. The downward trajectory they experienced in 2011 was almost completely uninterrupted. After a promising 2010 they, with Robert Kubica, topped the times in the opening pre-season test and the Renault's design, with distinctive forward-facing exhausts, caused a round of head scratching up and down the paddock. But things were never as good as that for them again. Kubica almost immediately put himself out for the season with injuries sustained in a rally accident, and the exhaust solution proved to be a blind alley and, worse, precluded many technical developments throughout the season. The team therefore sank from being podium challengers early on, to the bottom end of the top ten, to firmly at the bottom part of the midfield by the time the season was out. In among all of this Nick Heidfeld, Kubica's replacement, performed competently if not necessarily spectacularly as we've come to expect. His third place in Malaysia was classic Heidfeld, and he in total scored points in six of the first nine races. There were perhaps a few more accidents than we'd come to expect from Nick, such as twice in China's practice, with Kobayashi in Canada and with Di Resta in Germany. Still, based on his performances it was a bit of surprise that Heidfeld got the boot after Hungary. A lack of leadership was cited by the team, and some suggested that he tends to develop a car in the direction of suiting his driving style rather than necessarily making the car quick. Team principal Eric Boullier clearly isn't afraid to wield the axe and it appears that he expected a bit more from Heidfeld than being roughly as good as Vitaly Petrov. Which brings us neatly on to the Russian. Like Heidfeld, Petrov claimed an early season podium, in his case finishing third in the season-opening Melbourne round. This, achieved via a two stop strategy where he looked after his tyres well, following on from his holding off Alonso for 40 laps in Abu Dhabi in the final round of 2010, led to some believing he had found a new maturity. However, crashing returned to his repertoire at the next race, with a famous flight in Malaysia which put him out, showing his inexperience. His ride over the back of Michael Schumacher's Mercedes at Korea, watching Fernando Alonso too much, was also memorable and there were also off track excursions at Abu Dhabi and Spa, while mistakes in India probably cost him points. 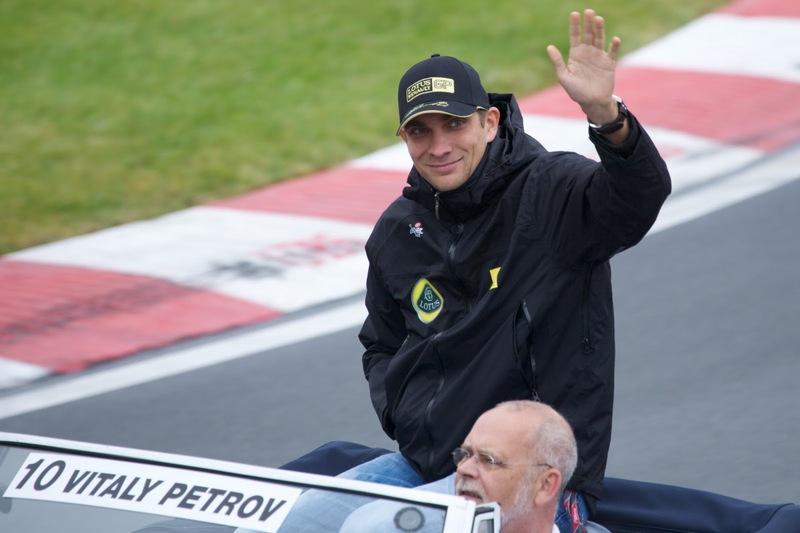 Nevertheless, Petrov was clearly a more substantial performer than in 2010, his drives at Spa and Suzuka into points were good and he came home fifth in Canada after staying out of trouble. There didn't seem to be a damning case for his removal, but that's exactly what happened; Boullier's enthusiasm for Petrov is clearly well under control. A frustrated public rant about the team after the Abu Dhabi race didn't help his cause, but I reckon that Russian money not being quite on stream at the rate that the team wanted is what sealed his fate. Bruno Senna, who had been a reserve, was brought in to replace Heidfeld for the final eight races. While stepping in mid-season is usually a graveyard shift, especially so in these days of testing bans, Senna performed respectably. He started magnificently by qualifying seventh in his first weekend back, at Spa, and did so in changeable conditions. That he spoiled it on race day, missing his braking point for the first corner, was understandable given his time out. He then came home ninth at Monza (though he did qualify four tenths shy of Petrov there), and backed that up by being the better of the two Renaults in their nightmare-ish Singapore weekend. At Brazil he also qualified magnificently and he developed a nice briefcase full of sponsors' cash for the team over his time in the race seat. But the problem was that at the precise moment the team was making its mind up on the future, after Singapore and through to Abu Dhabi, he struggled to get on terms with Petrov or to extract himself from the lower part of the midfield. And in any case, Boullier has demonstrated that in his view being about as good as Petrov isn't good enough. Williams was another team to have a desperately disappointing season, not even having Renault's early optimism. The FW33 started as a lemon and didn't improve much at any point. It lacked pace and reliability and, unhelpfully with the Pirellis, wasn't great on its tyres. Cosworth also weren't as accommodating on off throttle exhaust blowing as were another engine suppliers, another key development area for 2011. With all of this, Rubens Barrichello had a frustrating time of it. He accumulated four points for two ninth places, but both owed more to staying out of trouble than pace and never once did he qualify in the top ten. There were only brief flashes of his talent, such as good pace in the wet early stages in Hungary and in Monza he could have won points but for delay resultant from someone else's accident at the start. He was indeed fast and aggressive in the final two weekends of the season, but by that time it may have been too late. Williams are turning a new leaf for 2012, and at the time of writing it doesn't look like the popular Rubinho will be part of it. He has expressed a desire to get his twentieth year in the sport, but options are diminishing fast for him. 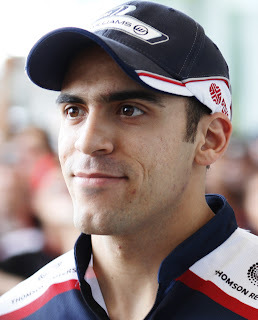 Pastor Maldonado will be part of Williams' new leaf in 2012 however. 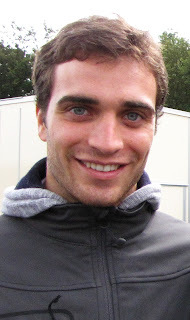 He got the drive at Grove for 2011, replacing Nico Hulkenberg, amid some controversy with a widespread view that it owed more to the sponsors' money he brought than to talent. This, as well as paying scant regard to the fact he was GP2 champion, left him on a bit of a hiding to nothing. He showed this year however that he has a decent turn of pace, especially in qualifying where he made the top ten three times (compared to Rubinho's zero) and he outqualified Barrichello eight times, which compares favourably with Hulkenberg in 2010 who only did this on six occasions. He also showed that he has a deserved reputation as a Monaco specialist - he ran near the front of the pack throughout there and would have finished sixth but for being removed from the race by Hamilton late on (it's worth reflecting that but for this he would have out scored Barrichello nine to three this year). Still, there was definite rawness there. His good qualifying performances didn't tend to translate into good race results, and there were mistakes and stewards' wrath aplenty. In Canada and Brazil he spun out, in Monza he crashed in qualifying and there were many other scrapes in free practice. Further, he exceeded the pitlane speed limit in the Turkey and Hungary races and managed to ignore blue flags on two separate occasions in Abu Dhabi. Spa qualifying remains the major black mark though, aiming his car at Hamilton's in what outwardly appeared to be a fit of pique. He was fortunate not to be kicked out of the event for that, but on race day we saw the best of Maldonado: driving well under pressure, passing when he had to, and making a two-stop strategy work, which got him his first point in F1. The raw materials appear to be there, and Maldonado has a chance next year to prove that he's more than just a pay driver. 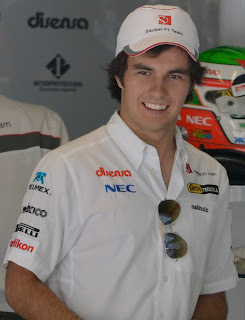 Sergio Perez, like Maldonado a GP2 graduate, was a pleasant surprise at Sauber this year. His season was characterised by a series of mature performances which scored him plenty of points, usually by stopping once fewer than those around him. Amazingly, he stopped only once in Melbourne to finish eighth (a result struck from the records by a technical disqualification that had nothing to do with him). As might be expected from a rookie there were a few clashes in there: he was penalised for a clash with Sutil in China, lost his front wing in Turkey, spun in Germany and got drive through penalties in Hungary and Spa (the former for passing under yellows, the latter for a clash with Buemi). His season was also set back a little by a big crash in Monaco qualifying (though it's worth noting that he performed brilliantly to get into the final qualifying session in the first place), which Perez subsequently admitted took four races for him to recover from. But it's better to remember his season by the sensible drives rewarded with points in Spain, Silverstone, Singapore, India and Abu Dhabi. There's also nothing wrong with his raw pace, shown by him qualifying ahead of the rapid Kobayashi on 11 occasions. It's no wonder that Ferrari are sniffing around for Perez to fill a race seat there from 2013. We were also treated to surprise Sauber cameo from veteran Pedro De La Rosa in Canada, stepping in literally between practice sessions as Perez concluded he wasn't fit to drive post his Monaco smash. De La Rosa performed respectably, especially for someone who only found out he'd be driving 10 minutes before the start of the second free practice session. He ghosted up to ninth place in the wet conditions on race day, before dropping back to twelfth as the track dried. Equally surprising is that we'll get to see more of De La Rosa in 2012, as he's signed to race for HRT. Sebastien Buemi completed his third season at Toro Rosso, which must be some sort of record, but hasn't shown sustained improvement in that time, and was rewarded by an unceremonious dumping at the year's end. Things started fairly well for him this year, such as finishing ninth in Turkey (a race in which he was in seventh until late on) and dicing with Massa gamely in Spain. However, while he was often racy and not afraid of overtaking, he rarely matched his team mate Alguersuari's ability to manage the tyres on race day. Still, he was unlucky with a run of unreliability that precluded probable points finishes at Japan, India and Abu Dhabi, and he also lost possible points at Spa when Perez drove into him. All of this falling his way instead of against him could have put a very different slant on his season. Which leaves the three 'new' teams in the sport. If Heikki Kovalainen's performances in the Lotus were impressive, his team mate Jarno Trulli's definitely were not. As mentioned, he was thrashed in the qualifying match up 16 to 2, and qualifying was once considered as Trulli's trump card. For much of 2011 he pointed towards his power steering as the reason for his struggles, and a revised system introduced at Hungary brought a small and brief upturn. But he still didn't match Kovalainen with any regularity and by the end of the year he seemed to be as far off his team mate as ever. He did at least bring the thing home pretty well: ironically, his two 13th places guaranteed his team their second successive tenth place in the constructors' standings. He has a contract at the team for next year, but talk of him being 'retired' to make way for someone else persists. Trulli's underwhelming performances were such that popular reserve driver Karun Chandhok was brought in instead of him for the German GP weekend. Unfortunately, he didn't do hismelf any favours for securing a permanent race drive, as he spun a lot (admittedly in changeable conditions) and finished a long way behind Kovalainen. Being thrown in without testing is very difficult, as mentioned, and perhaps explains Chadnhok's keenness to short cut the learning curve. However, that he wasn't brought back, even ahead of Trulli, for the meeting in India spoke volumes of the team's assessment of him. HRT struggled on this year, and continue to tool around at the back reminiscent of the 'startline specials' of the 1980s and 1990s. Quite what Vitantonio Liuzzi was doing there can only be explained by a desire to stay on F1's radar via whatever means. Their competitive vacuum and unpredictable machine makes judging their drivers very tricky, but Liuzzi firmly got the better of team mate Narain Karthikeyan, a surprise returnee to F1, and showed he could battle with the cars ahead on the rare occasions that circumstances allowed. He jousted with Glock in Spain and with both Virgins in Germany, and outqualified the Virgins in Turkey and Canada. However, when Daniel Ricciardo was brought in instead of Karthikeyan at Silverstone Liuzzi struggled to get on terms with him. After a bedding in period Ricciardo consistently got the upper hand. Liuzzi came back in the last two races though the die may have been cast by then, and despite having a 2012 contract few expect Liuzzi to be at HRT then. Ricciardo was rewarded with a Toro Rosso drive for 2012, which was slightly surprising as there was a feeling that, while he was solid enough at HRT, he didn't quite grab his F1 opportunity there as firmly as he might have done. Being beaten by the returning-for-one-weekend-only Karthikeyan in India in both qualifying and the race (though he had a botched pitstop on race day) was a definite bum note. Still, given his lack of testing and the potential negative consequences of goofing up, Ricciardo's circumspection was perhaps understandable. It's not clear what the future is for HRT. Their factory move to Valencia and desire to rebrand themselves as a Spanish national team at least is a strategy. Whether it's the right strategy is another matter entirely. That leaves the Marussia Virgins, whose blind alley of relying on CFD only, and no wind tunnels, didn't look any more successful this year than last and was abandoned mid season. Their McLaren tie up, having Pat Symonds feeding into matters and Marussia money on tap all suggests they're starting to move in the right direction. It's easy to forget that Timo Glock had established himself as a perfectly competent F1 talent at Toyota, capable of leading races and scoring podiums. The frustration of a second season at the back did seem to get to him, evidenced by a radio barb at his team, broadcast to the world, in German qualifying. He still didn't appear to leave much pace to spare though and took the fight to the Lotuses when able, such as at Valencia and Silverstone, as well as progressed well in Hungary's damp early stages. Teams further up the grid could do a lot worse than look at him, but you wonder if by driving at the back, as well as being far behind the Lotuses and far ahead of the HRTs leaving him few opportunities to race, those who make the decisions are beginning to forget about him. Jerome D'Ambrosio was a quiet revelation in the other Virgin. His being selected for the drive owed something to bringing money, and while he get didn't on terms with Glock much in qualifying (only qualifying ahead five times) as the season progressed come race day he showed himself to have a Glock-troubling turn of speed as well as an ability to stay out of trouble. But just as he was really establishing himself as a solid and worthy F1 driver he was dropped for next year in favour of Charles Pic. Such are the odd ways of those in F1. Felipe Massa: I've always thought that the accident Felipe had in 2009 must've affected him, but in an emotional way. In the past, some drivers had terrible accidents but they kept being the same, Lauda, just to call one. Ok, different situations, but terrible accidents after all. Probably the main reason is called "Nando", anyway... Undoubtedly 2012 will be a crucial season for Felipe and honestly it's hard to me to think that he'll be in another team in F1 after Ferrari. Time will say. Heikki: He seems to be a great guy and as a driver I really like him. I think that his career at Team Lotus/Caterham is a good chance to develop as a driver. I know, he was in McLaren, but I feel things there are already done, but in this new project things seem more interesting. I'd say he's growing up with the team. LRGP case: Well, here I have to talk about the team. Let's imagine I'm a team manager. If my team's cars are developed in a nothing efficient way meaning that it's technically impossible to win races (or at least to get top 5 places), how will I ask my drivers to bring good results. What about my engineers and designers, what about me as a manager. Drivers can't carry all the fault on their shoulders. If we are a TEAM, we must work as a team without cutting heads when things are not going well. Honestly I don't have anything to say about Nick, Vitaly or Bruno. I really like them and I feel they were treated so unfairly, just like simple tools (as drivers are always treated). Williams: A real shame current Williams' situation. I still remember my first F1 season back in 1996 watching two of my favourite drivers ever winning races; Jacques and Damon. Times change, there's no doubt about that and the team seems to have lost the pace to times. What to say about Rubens. Although I like him and admire him I can't hide that I feel disappointed with him, but not for his current performances, but for his career at Maranello. A real shame what he did there getting his career burnt under Schumacher's shadow, his best years gone with Ferrari. I'd like to see him in 2012, but that seems to be a little hard to see. Now Pastor. Having in mind Williams' situation, the fact of being a rookie driver (and pay driver as well) I want to see him driving a better car to see his real skills. Of course, he showed a good pace in some qualifying sessions and races, but due to some mistakes and car's performance it'll be interesting how he'll apply all the things learnt in 2011. Pérez: A great season indeed. What it surprised me the most of Checo was his tyres treatment. A so mature driver who must be proud of what he did in his first season in F1. Toro Rosso: I have to say that the only team I followed during my F1 years was Toyota (sniff, sniff). But, if it was a team I always respected and admired was Minardi. When it became STR I thought things would change for them, but when I knew Red Bull's plans I didn't like them anymore. I don't like STR. Why? I can't like a B team that is supposed to be always in the middle of the pack developing drivers. So they think on not winning races ever? I can't imagine a STR car beating a RBR car. Would RBR allow that? I don't think so. How and why F1 allows this? B teams must be in ladder series, not in the top. I don't even have to say that all this issue with Jaime and Sebastian makes me sick. I think both are great drivers and I'm completely sure history will be repeated with Vergne and Ricciardo. Again, drivers treated like tools. Sorry for making this long, but those are just some feelings about this current F1 that sometimes make me feel disappointed. Graham, if I said something out of place, Sorry. Thanks very much for your comments Mario. And no need to apologise! It's always great to hear from you! I agree with just about everything you say. It's an interesting point you make on Toro Rosso. Like you, I'm not entirely comfortable with the idea of a 'B' team in F1. It does seem an incredible conflict of interest to have two teams owned by the same organisation. I find it hard to believe such a state of affairs would be allowed in other sports (imagine if Manchester Utd tried to buy Norwich City?!). Also, I don't know if you've seen the footage from the F1 2011 review DVD where Helmut Marko gives Jaime Alguersuari a very strong telling off for holding up Vettel in a practice session! It doesn't make for pleasant viewing. Still, having said all that there seems very little untoward about the Red Bull/Toro Rosso relationship. Indeed, for much of 2008 (certainly in the latter half of the year) the Toro Rosso was much faster than the Red Bull, and Toro Rosso were never ordered to slow down or cede places to a Red Bull etc. I also can't think of instances where a Toro Rosso has been ordered to get out of the way of a Red Bull etc etc. And while Red Bull have been ruthless with Alguersuari and Buemi, as Alguersuari pointed out Red Bull have funded his motor racing career up until now so it's hard for him to be resentful of them!